We are a KS4 class made up of eight wonderful students. Our class caters for children with a range of physical and communication needs. We use a huge variety of communication devices and strategies to support the learning of our young people. Our main focus is to deliver a curriculum, which draws on real life experiences. We aim to prepare our students for later life by making them as independent as possible. 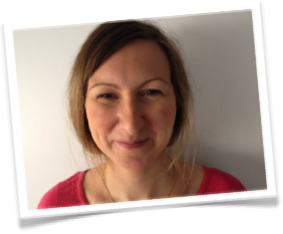 Our class team is made up of our teacher Annmarie and five excellent teaching assistants. We study maths, English, science, modern foreign languages, humanities and art with our teacher Annmarie. We also have RE, life skills, design & technology and music taught by specialist teachers. Our learning is based around the National Curriculum; working at levels P7 – N3. We study English, Science PSHE and Life Skills with our teacher Annmarie. We also have Humanities, Maths, Art and Design and Technology taught by specialist teachers. Our learning is based around the National Curriculum; working at levels P6 – N3. We look after our health and well-being by taking part in physiotherapy and hydrotherapy sessions throughout the year. We love to take part in team building games and are learning to socialise with friends and family through social media and our class Twitter page. This year we have been really excited about our Rainforest topic. We have been learning about Biodiversity, Climate Change, Tribes, and Citizenship. We are looking forward to our class trips to the Zoo and the Rainforest cafe. Annmarie is a science specialist and comes from a mainstream secondary background. She is currently studying for a Masters qualification in special education. You can read this year's scheme of work here.